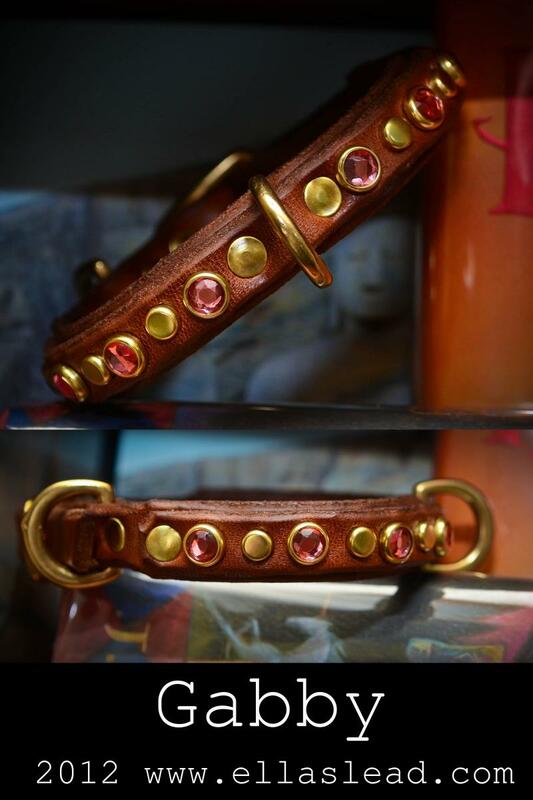 This little collar is bound to turn heads at the dog park, the vet's office, or on therapy visits. Gabby is perfect for that little dog who wants to be like the big dogs, but doesn't quite have a big enough neck for it. This is a 5/8" wide double leather collar, or 3/4" tapered to 1/2". It is decorated with alternating rhinestone and flat spot. 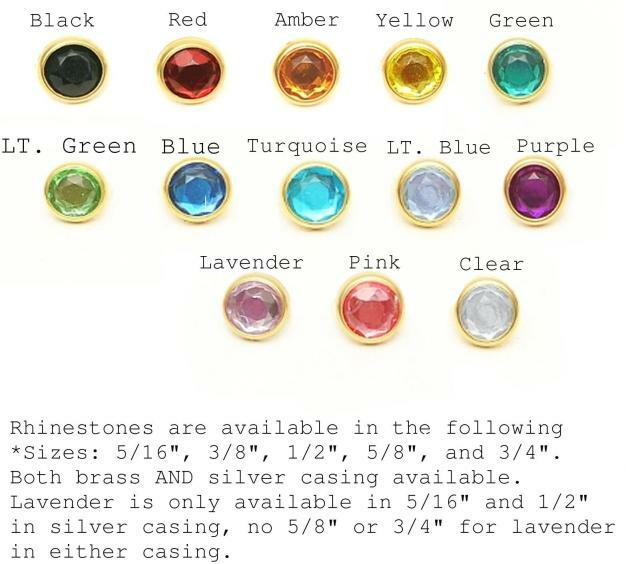 You will have your choice of leather color, rhinestone color, and hardware color. This collar is for small dogs. If you have a bigger dog, please check out our other collars. Thank you!